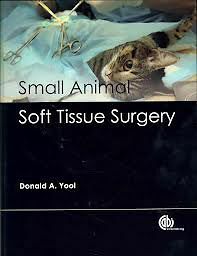 Small Animal Soft Tissue Surgery provides an introduction to the fundamentals of small animal soft tissue surgery, covering the core principles that underpin all surgery, and key areas of general soft tissue surgery undertaken in general small animal practice. Emphasis is placed on current veterinary practice, the application of basic principles and the importance of patient assessment and appropriate decision making. With a practical focus, the book provides a clear, well-illustrated description of a readily applicable technique for each of the potential problems that face new graduates within non-specialist practices. The learning outcomes at the start of each section define the key areas for undergraduates to focus on and self-assessment MCQs at the end of each section help re-inforce learning outcomes. The text also contains information to enable newly qualified graduates to assess more complex conditions that are frequently encountered in small animal practice. For many practitioners who do not develop a strong interest in more advanced surgery, this text will provide a solid surgical text to last throughout their veterinary career. To enhance accessibility to undergraduate students, the text will emphasise the application of a small number of key principles and limit detailed descriptions to a reduced number of key procedures.